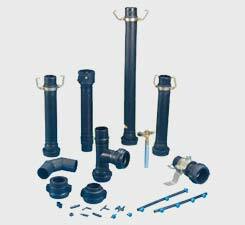 Sprinkler Pipes, Drip Irrigation System, Drip Lateral, Inline Dripper and Emitting Pipe Supplier & Distributor in Rajkot (Gujarat), India. 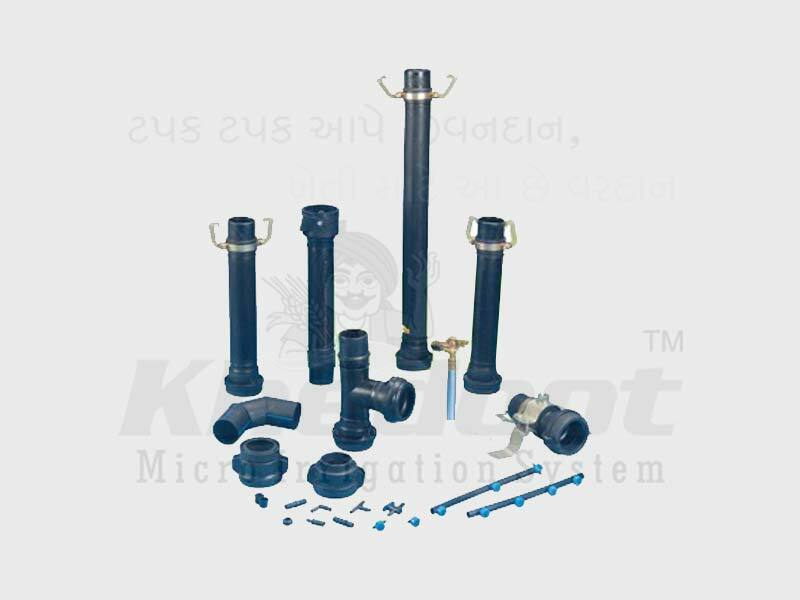 Khedut Sprinkler pipes are suitable for Sprinkler Irrigation System & are available in 63 mm. to 110 mm. size, having length of 6 mt. & 3 mt. with male-female Coupler. The pipes to be used in the system are made up from 100% High density polyethylene granuals. It also posses the IS standard mark as per IS : 14151-99 Part – I and IS : 14151 – 99 Part – II. “Khedut” brand sprinkler pipes are light in weight, flexible & highly durable. We are one of the best provider of Sprinkler Pipe in the market. We have a hard working and valuable manpower team, that work with passion. Our products are user friendly, durable and of high quality. Our range is manufactured using best grade raw materials, which are sourced from certified vendors in the market.